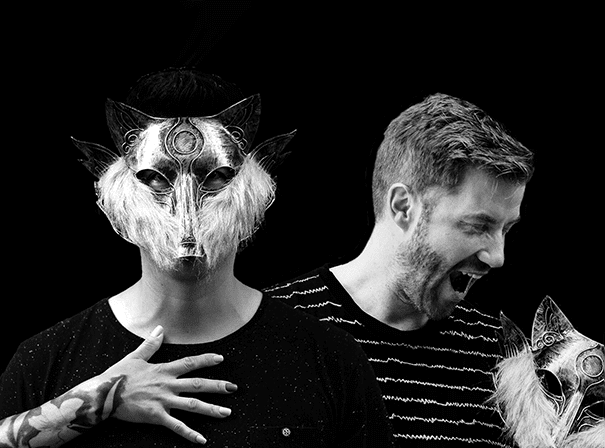 Wolf Story is a Miami-based duo making waves in the global electronic music scene. The artists that make up Wolf Story – Steve Sanx and Rico from Paris – are both formidable producers and DJs in their own right, having masterminded labels such as Oxygen Records and Beachside Records. The last couple of years have been a wild ride for this swiftly rising duo: playing all over Florida, heading to Amsterdam for ADE, III Points Festival in Miami and tearing up some of the best clubs in Paris. On the production side, their eclectic beats have gained support from the likes of Kevin Saunderson, Nora En Pure, Sharam, Chus & Ceballos, Steve Lawler and Fedde Le Grand. Traxsource has included no less than five tracks from Wolf Story in their Best of 2018 round-up. Dynamic tracks like “Dem People Go”, a remix of Dennis Ferrer’s infamous classic, have risen to No 2 in the Afro-House chart on the platform: rated 9/10 by DJ Mag, “Dem People Go” layers tension and release on top of solid percussion and next-level production, earning support from DJs such as Laurent Garnier and Nora En Pure. BBC Radio 1 recently featured “The Harp” on Danny Howard’s weekly show and “Moyubba” was included in the Defected Ibiza 2018 Compilation, while “Time” received the fireworks treatment at Tomorrowland. The emotive deep house stormer “Align”, produced alongside Nihil Young, has recently reached a global audience with over 1m plays on Spotify. Wolf Story is just getting started. When not bringing their unique sounds to dancefloors across the globe, the pair are working on upcoming projects with dance music legends Kerri Chandler, Mr V, Demuir and vocalist Jinadu.